Galaxie Coffee is always looking for new products that we believe our customers will be excited about. In light of that, we are proud to announce that we are now offering Kitten Coffee, a premium roasted brand produced right here in the Big Apple. Kitten Coffee is located on Skillman St. in Brooklyn. They are one of only a small handful of premium coffee roasters in New York. We believe you will really enjoy what they have to offer. Kitten founder Rowan Tuckfield is not a native New Yorker, nor is his company native to Gotham. Tuckfield and his coffee roasting business are originally from Melbourne, Australia. So why bring his premium-roasted coffee across thousands of miles of ocean to land in New York? Tuckfield says it is because “the greatest city in the world deserves the greatest coffee in the world.” Tuckfield and business partner Todd Broockerd share a passion for fine coffee and the coffeehouse culture. New York is the perfect venue to combine both. Kitten Coffee starts with three different blends roasted from Arabica coffee beans grown and harvested in southern Brazil. What makes their coffee beans different is that the company prefers the “natural method” of drying that leaves the fruit of the coffee bean intact as it dries naturally in the sun. This natural process allows for fermentation within the bean that produces a richer, deeper flavor without the bitterness. The company’s Salmo, Antonio, and Siquiera blends all combine notes of chocolate and different fruits. Salmo even includes a slight hint of caramel. All three coffees are sold at the retail level in their Skillman St. shop or wholesale to companies such as Galaxie Coffee. Above and beyond the roasting, Kitten also offers barista training at both their retail location and factory. You can learn the techniques of fine coffee artistry to use at home or in your own coffee shop here in New York City. Kitten believes so much in the coffeehouse philosophy that they are willing to teach anyone how to be a world-class barista, knowing that there is plenty of room for anyone in New York who wants to get into the coffee business. For the person who just wants to know a little bit more about how to make great coffee at home, the Kitten website includes some important tips. For example, they recommend never storing coffee in the fridge because it absorbs odors. You are better off buying smaller amounts that can be stored on a shelf and used within a week to 10 days. We invite you to visit the Kitten Coffee website for more information about this wonderful local company. If you are a Galaxie customer, be sure to ask us about Kitten Coffee for your office. And of course, we want to provide coffee and beverage service to your New York office if you are not yet a Galaxie customer. We pride ourselves on providing the best service anywhere in the Big Apple. Back in the 1970s and 80s, it was thought that coffee was bad for you. Indeed, there was a plethora of research suggesting links between excessive coffee consumption and cancer, as well as other risks relating to diabetes, coronary disease, and the like. However, new research is saying just the opposite. We will get to the discrepancy in just a minute, but for now, it is enough to know that recent research has begun citing the health benefits of daily coffee consumption. One recent epidemiological study out of Johns Hopkins University analyzed data from two other studies, one from Sweden and the other from the U.S. It concluded that there appears to be some link to regular coffee consumption and reduced risk of developing multiple sclerosis. The study looked at combined data relating to more than 6,700 individual patients. Some of the patients had MS; others did not. Another study out of South Korea seems to imply that regular coffee consumption can reduce the risk of heart attacks and other cardiovascular diseases linked to clogged arteries. That study looked at more than 25,000 participants of varying ages and lifestyles. 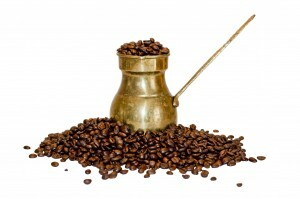 Those who drank 3 to 5 cups of coffee per day were significantly less likely to suffer from clogged arteries. Several additional studies have suggested that daily coffee drinking can reduce the risks of dozens of diseases. So why are these studies now showing coffee in a positive light where previous studies suggested coffee consumption was bad for you? According to researchers, it comes down to how epidemiology works. Unlike studies that look for mechanical or physical causes of disease, epidemiology looks for links between behavior and outcomes. Back in the 1970s and 80s, coffee drinking went hand-in-hand with smoking and a lack of exercise. Because of these other behaviors, it was difficult to separate cause and effect from an epidemiological standpoint. Things are different in the 21st century. Smoking rates have been drastically cut and more people are exercising now than ever before. Furthermore, the more we know about the contents of coffee and its effects on the human body, the more epidemiologists can see direct links rather than indirect ones. 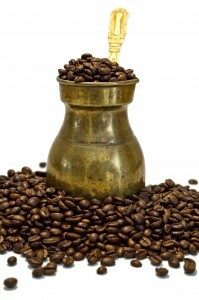 No one is yet ready to declare coffee a miracle beverage that will guarantee better health. Moreover, that will probably not ever happen either. Nevertheless, it is nice to know that we can drink coffee knowing that I will not kill us and that it will probably help us to some degree. Galaxie Coffee is thrilled to be part of an industry that provides enjoyment and comfort to so many people while, at the same time, offering some health benefits to certain kinds of people. Knowing that our customers might actually be benefiting from our products in terms of their overall health is pretty awesome. If you would like to know more about Galaxie Coffee service for your company, please contact us. We provide office coffee and beverage service throughout the greater New York area.